On Monday evening, the embattled regime of Venezuelan dictator Nicolas Maduro suffered its latest blow when 11 of the 14 members of the "Lima Group" - an organization created with the singular aim to bring about a "peaceful end" to the crisis in Latin America's socialist paradise - backed opposition leader Juan Guaido as the legitimate ruler of Venezuela. 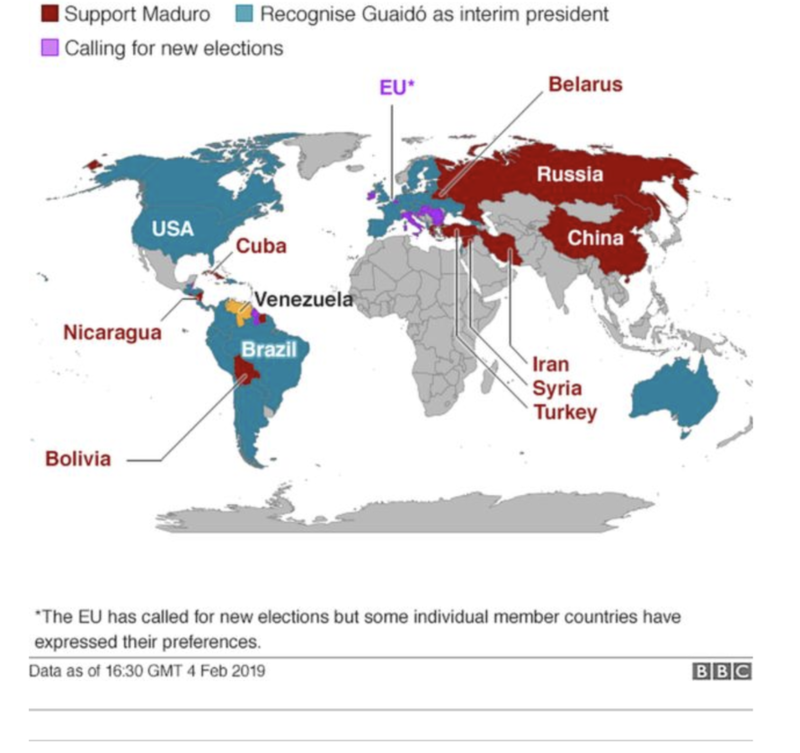 In a declaration issued by the group, the governments of Argentina, Brazil, Canada, Chile, Colombia, Costa Rica, Guatemala, Honduras, Panama, Paraguay and Peru "reiterate their recognition and support for Juan Guaidó" and called on the international community "to take measures to prevent the Maduro regime from conducting financial and trade transactions abroad, from having access to Venezuela's international assets and from doing business in oil, gold and other assets," according to the BBC. But much to the chagrin of Russian state-controlled oil giant Rosneft, US sanctions against Venezuelan oil firm PDVSA have left a flotilla of ships carrying some 7 million barrels of Venezuelan crude stranded in the Gulf of Mexico. Some of the oil was ordered before the US sanctions came into play, as buyers took advantage of PDVSA's open-market firesales ahead of the sanctions. Other buyers are stashing oil aboard the 12 tankers until they figure out where to put their money, according to Reuters.